Develop students’ writing skills and build struggling writers’ confidence with Clicker Docs - the writing tool that provides differentiated support for students of all abilities. 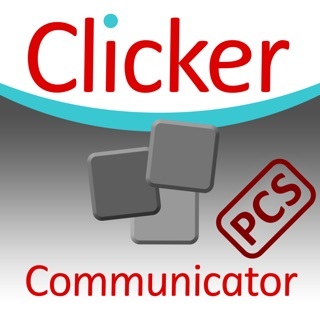 Continuously developed by Crick Software for over 20 years, the Clicker product range is used in schools around the world. "If you are a learning support, autistic support, ELL, or primary grade teacher, you should really take a good look at this app. It will help your students reach a very high level of success without heartbreak." 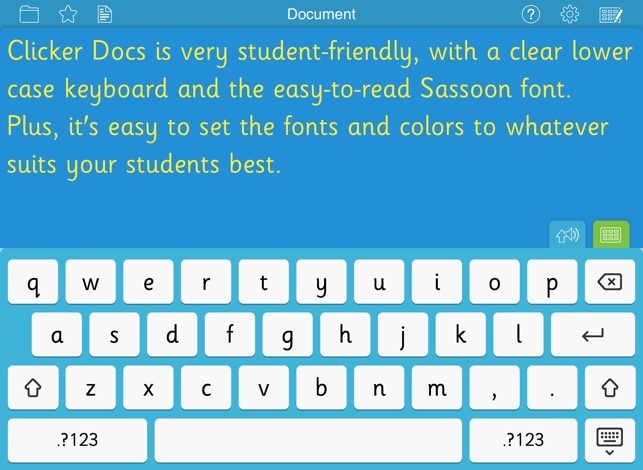 Students use the child-friendly keyboard to type into the simple word processor, and a range of speech options encourage them to review what they have written. This helps them to find and correct errors for themselves, enabling them to become more independent writers. 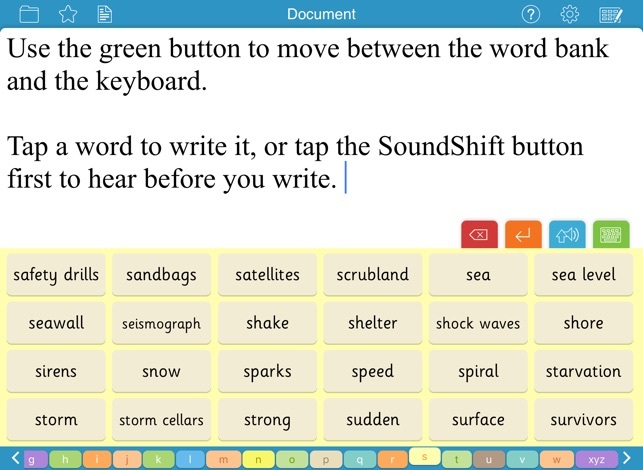 The intelligent word predictor suggests words that fit the context of students’ writing. The predictor can be customized according to reading level and number of words, helping students to use good vocabulary and create flowing text with accurate spelling. Learners can listen to words in both the predictor and the spell checker before using them, helping them to find the word they want. 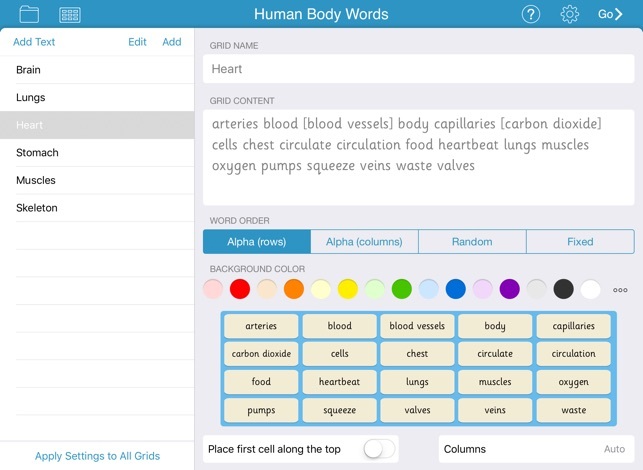 Word Banks provide tabbed vocabulary support for any subject or topic - just tap a word to add it to the document. 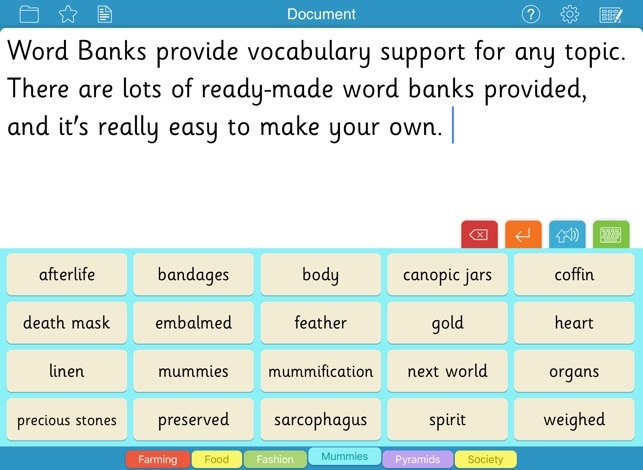 Make your own Word Banks in a flash (you can even paste in a block of text from anywhere and have it created automatically) and use the free, ready-made Word Banks on our LearningGrids site, accessible from within the app! Learners can even listen to words before they write them, helping them to find the word they want and achieve writing success. Any word in the predictor or Word Bank can be heard before it is used by using our unique Sound Shift tool. The child-friendly Sassoon font included in the app makes Clicker Docs documents look great on-screen and on paper. Print your work to any Airprint-compatible printer, or share it via email, AirDrop, Dropbox, Google Drive, OneDrive or WebDAV. Whatever your students’ current level, watch their confidence grow and their motivation soar as they experience writing success! To make access easier for those with physical challenges, the unique SuperKeys option groups the letter keys into clusters, creating just six large areas to target. Just tap the cluster containing the letter you want, and then tap the letter in the enlarged cluster. The predictor/ spellchecker has four size options too, to make words easy to select. Based in the UK and US, Crick Software has a worldwide reputation for quality educational software for students of all abilities. 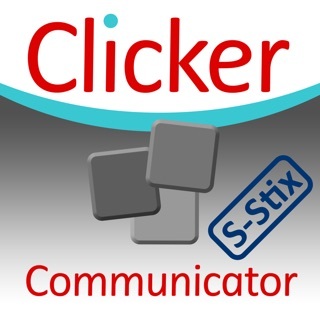 To find more Clicker Apps, search for Crick Software in the App Store. 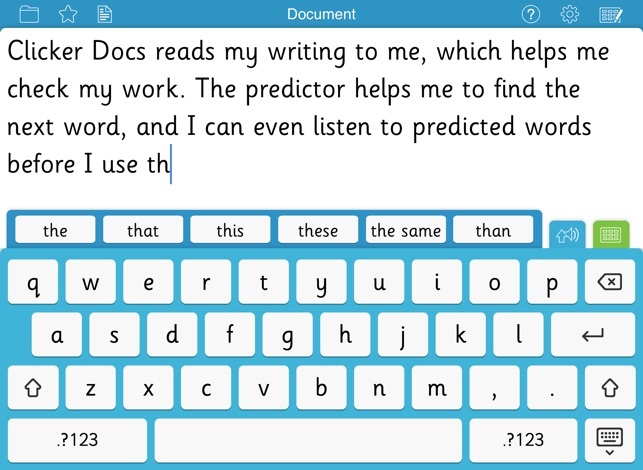 Clicker Docs is a great app due to word prediction, auditory feedback, ability to switch between keyboard and word banks and accessibility features. I have used this app for elementary and middle school students. My only suggestion is ability to change keyboard font and not just document font. Some of my younger students get confused between the lowercase letters on the keyboard as they are a different font than they are used to seeing. 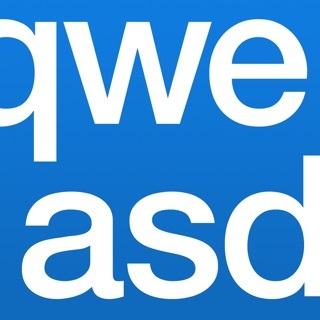 An excellent, easy-to-use, word prediction program that has many valuable features for students with learning disabilities. In addition to the audio feedback and scrolling prediction bar, the Clicker grids greatly enhance word retrieval and vocabulary development. I love the ease of parsing your own text to create customized grids. There are also many excellent features to customize the look and sound of the program. 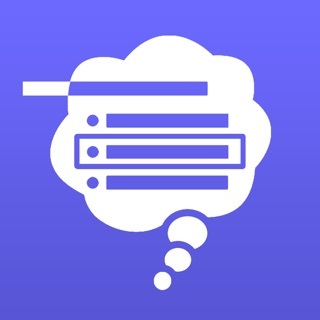 All-in-all, a GREAT app! Watching my clients use Clicker Docs to create essays and stories is an exciting experience. Then to see their parents program it themselves is just grand! Thank you for using icons that they are already familiar with and making this app so easy for everyone to use.